In the wake of the report that 2.5 billion online images were stolen every day in 2018, and with the European Parliament recently passing the controversial Article 13, two of the giants of the internet imaging industry have taken steps to combat image theft. 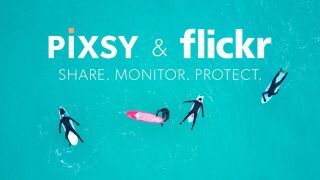 Flickr and online image protection service Pixsy have partnered to produce "a first-of-its-kind, fully integrated end-to-end solution to help photographers properly protect their work and rights". This strategic collaboration empowers photographers by enabling them to track their images and take legal action, worldwide, to protect against theft of their creative works. Flickr Pro members are now able to automatically integrate their library of images with Pixsy’s monitoring tools. They will then receive notifications when new instances of your work are discovered online, at which point a number of options will be presented. These range from sending legally binding takedown notices to generating a case via Pixsy’s legal team, which to date has handled over 70,000 cases of copyright infringement to the tune of millions of dollars in compensation. “We want our photographers to feel comfortable sharing their work online. We offer clear controls for privacy and copyright, and we stand by our photographers in asserting their rights in the case that theft occurs,” said Andrew Stadlen, VP of Product for Flickr. As part of the strategic partnership with Pixsy, Flickr Pro members get access to 1,000 monitored images, 10 DMCA takedown notices, and unlimited case submission for free. It's a welcome move from Flickr and a much-needed response from the internet imaging industry, after Copytrack called out Google and Yahoo! (Flickr's former owner) to meet the challenge of online image theft. Hopefully this new partnership will spur other companies to step up to the plate.